Gilford is fortunate to have several items that connect the town to New Hampshire State History. One set of items centers around Edith Gardner, who served as a NH Senator the era of 1979 to the 1980s. Composite photographs include Frederick Potter, a member of the NH House of Representatives. 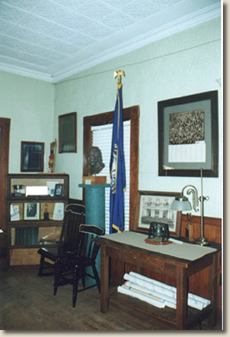 Also located in this display area is a set of books, including "A New Hampshire History".